This beautifully filmed short takes a hard look at the oppressive structure of the global coffee industry through the eyes and experiences of one man and one community in Nicaragua. 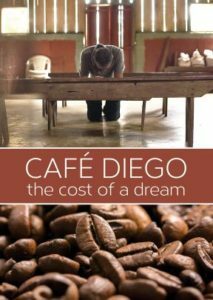 Café Diego: The Cost of a Dream is a documentary that follows the life of a Nicaraguan coffee farmer named Diego Chavarria. It is his story of great hardship, faith, risk, poverty, and perseverance. It is also a story about being faithful to what we have and believing that God has a dream that is bigger than our own. WINNER for Best Short Documentary at Christian Worldview Film Festival where is was also nominated for the Missions Awareness Award.